Catherine Helstone’s brother is a missionary, but instead of going to Africa, like most of the missionaries of the time, he has gone to Arcadia … a special land of the Fae. Because she has not received any word from him, Catherine follows to Arcadia where she is met by Miss Davenport – a changeling who is looking after Catherine’s brother, Laon. But Miss Davenport, who has been appointed to her position by the Pale Queen, is not exactly looking after Catherine. Instead she takes Catherine to Gethsemane where she abandons the girl. Catherine is now in a very alien world, on her own. She begins to investigate this strange land of Arcadia and finds the journal of the previous missionary to make the journey. From this she learns that Arcadia has some dark secrets. There seems to be a trend for me lately of books with really fascinating premises and strong characters and yet story-telling that just doesn’t hold my interest. This is one such book. I like the idea behind this book a lot, and I definitely enjoyed having Queen Mab as a character. All the characters were of some interest, in fact. But no one was outstanding. As I think back on this, the character who stands out the most to me was Queen Mab – Christine was just sort of a presence. The pacing of this book felt very much like a Victorian romance … slow. It is full of rich images that capture the imagination, but I need more than imagery to keep me interested in a book. Clearly I am not the intended audience for this novel. Looking for a good book? 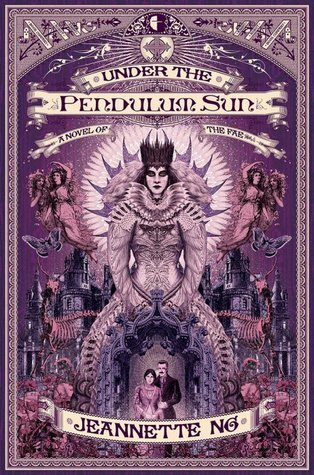 Under the Pendulum Sun by Jeannette Ng is a fantasy that combines gothic romance pacing with a mix of average characters.